Some foreigners really interesting to buy apartment in Minsk. 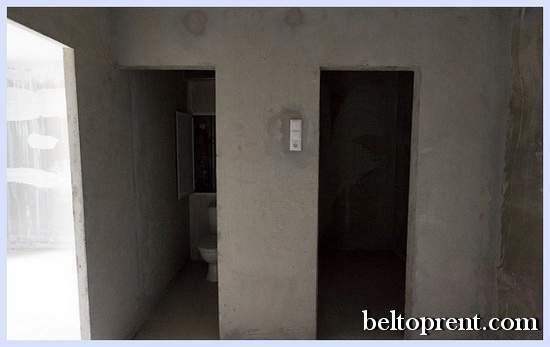 The BelTopRent team present the inside view for new apartments to buy in Minsk. 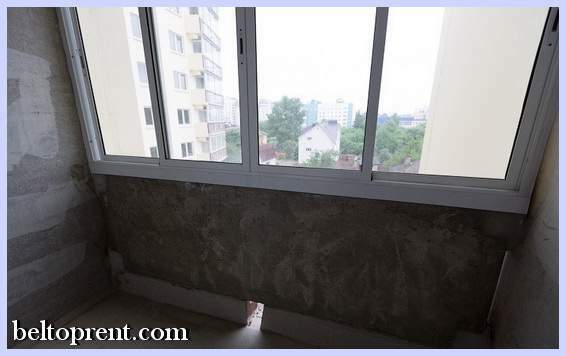 You will see an example of how does your apartment for sell in Minsk looks like in real. Let’s get it started! 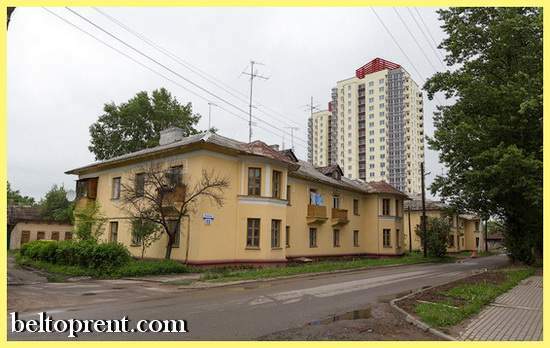 For our apartment trip we have choose a studio flat in new apartment building on the street «Radzinskaya» in Minsk. 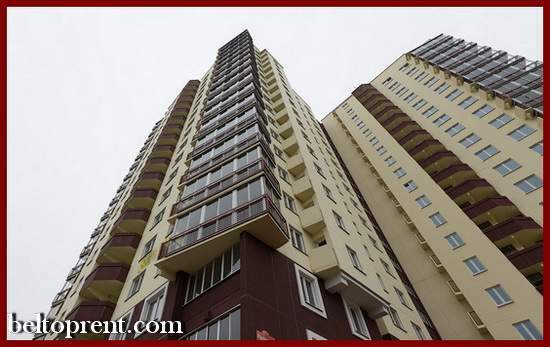 The name of this apartment building is «Visotniy» and one square meter will cost you around $1300-1500. As you can see, the building itself looks good, but the area around the building looks bad. Minsk authorities promis to change this area in next few years. So inhabitans of this new apartment complex will enjoy great views from their windows. Well, you can see now what in real the area around apartment building looks like. If you like it, get ready for next views! The main entrance looks good. 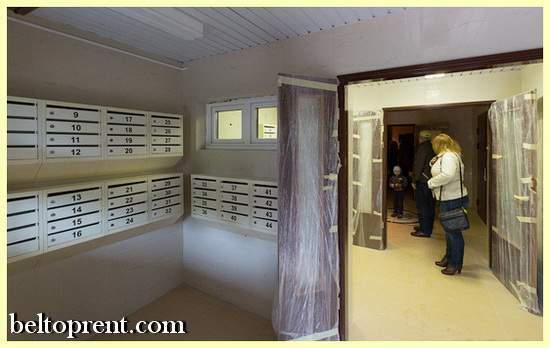 On the second photo you can see post boxes for every apartment, which is situated in this part of building. Can you see post box with the number «13″? 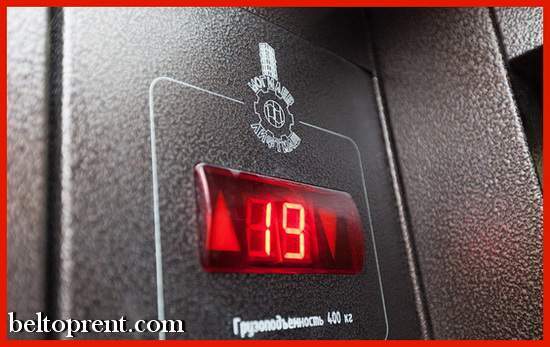 Maybe this apartment number will be yours if you want to buy apartment in Minsk? You decide! 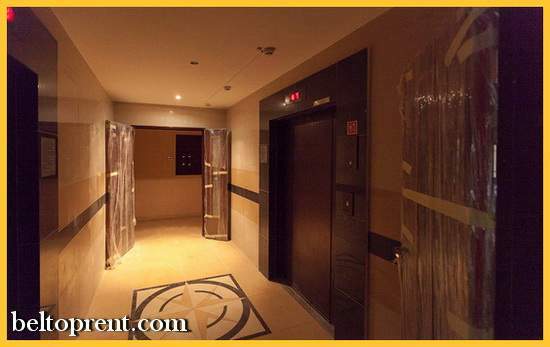 There are two elevators for every apartment’s building entrance. First one elevator is for passengers. Second one is for cargo. You don’t want to pull your new sofa to the 19th floor on your back, don’t you? 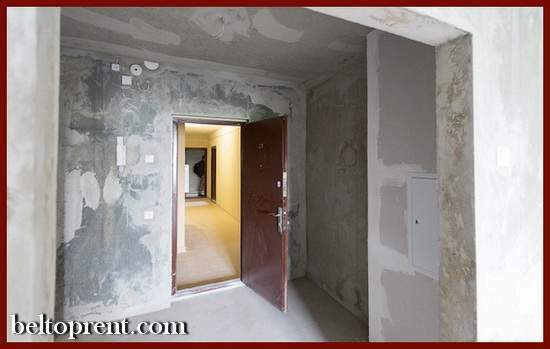 On the next photos you will see how does new studio apartmet for sell in Minsk looks like. Total square of this apartment is 45.17 sq.m. Living room is 17.96 sq.m and kitchen is 9.49 sq.m. 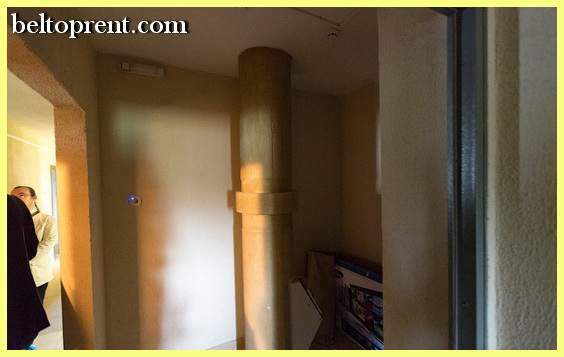 Total price for this studio will be around 1.400*45.17=$63k! 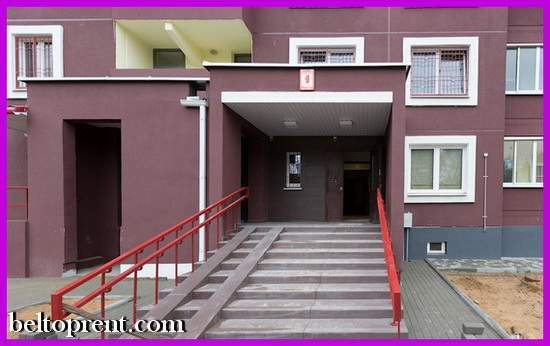 Over sixty thousands of american dollars for studio apartment in Minsk! It’s not cheap as you can see! But there are many people in Minsk who have money and they don’t give a damn about such prices. 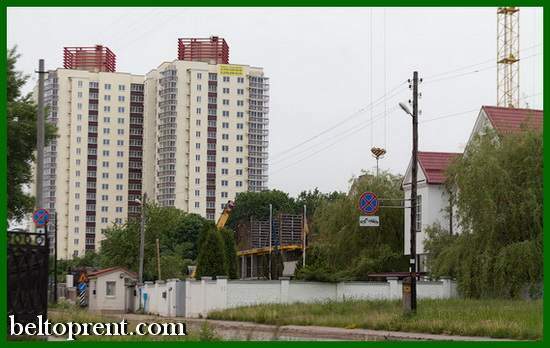 Besides, russians just coming and coming to Minsk to buy here new apartment since the price much cheaper compair to Moscow real estate prices. On the first photo you can see the view from the first steps to the inside of this studio. No renovation inside of apartment. Just dirty walls and new main door with good locks. 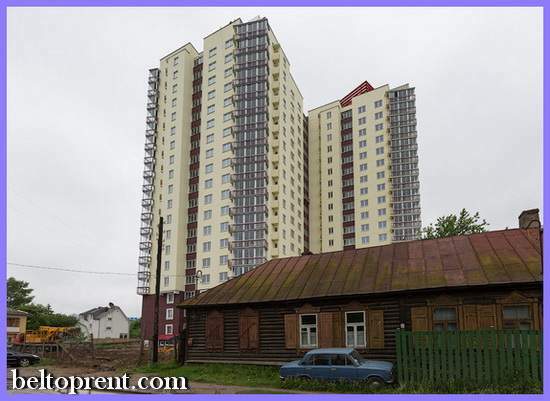 As you can see, you need to spend more money if you want to live in new apartment for sell in Minsk. 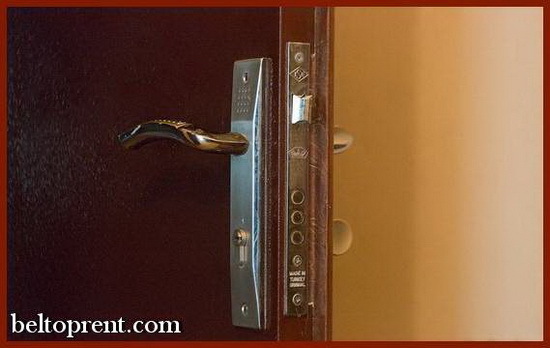 Feel free to contact Apartment hotel BelTopRent for best ever apartment renovation services in Minsk. We guaranty for you best prices and the best quality of work. Place to take a bath is separated from the toilet. No doors as you can see. Just toilet bowl to keep the space clean during renovation work by constraction workers from the very start. You can go to the balcony from the kitchen. 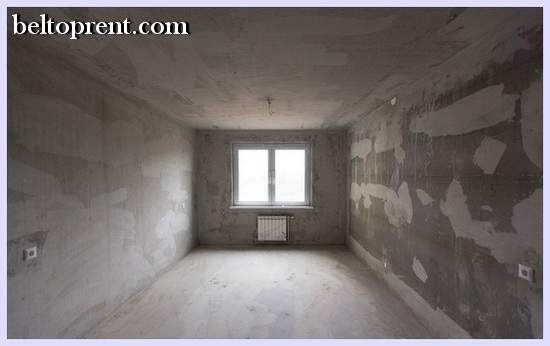 This is how the one looks like in real before you would like to buy studio apartment in Minsk without any renovation work. The refuse chute is situated on the every floor near elevators. Take the trash from your new apartment and trow it away using this system. This was a short trip to the world of new apartments to buy in Minsk. As you can see, you need more money if you want to live in your apartment. Renovation work will take some time. Feel free to contact BelTopRent if you need any help. 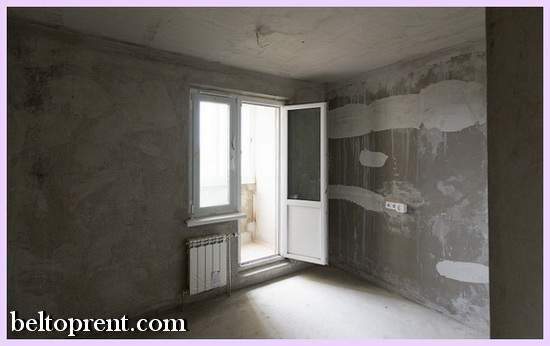 We can provide you with the best ever masters of apartment renovation. 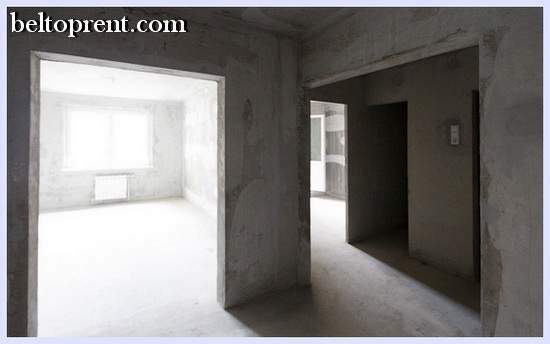 Also if you want, we can provide you with the best Minsk real estate agent incase you need help with Minsk apartment buying.